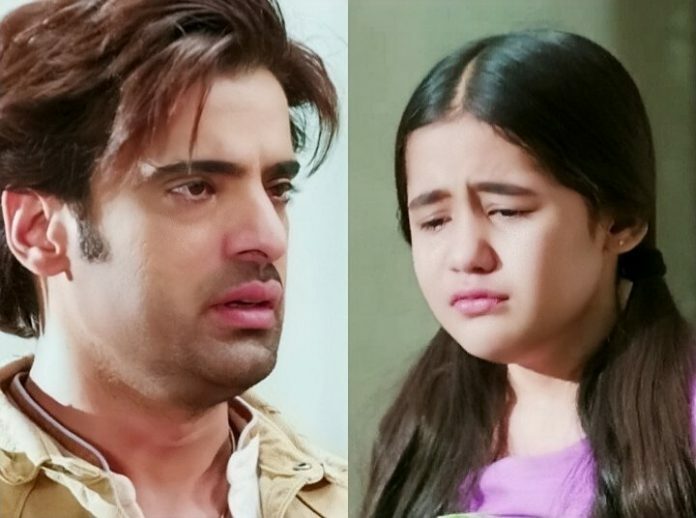 Kulfi Kumar Bajewala Upcoming twists. Nimrat wants Lovely to tell Kulfi’s truth to Sikandar. Lovely doesn’t deter and tells Nimrat that she will never tell anything to Sikandar. Sikandar records his song for Kulfi with love. Nimrat finds them sad and sheds tears for them. The family is also upset knowing Kulfi is bearing much injustice because of Lovely. Sikandar and Kulfi record their lovely song and cry. Kulfi feels compelled even when she has her dad along. Nimrat promises Kulfi that she will bring out the truth. She has many ways to reveal the truth. She scares Lovely and locks her in the cupboard so that she can bring Sikandar and Kulfi together. The emotional moments between Sikandar and Kulfi continue. He asks her why did she lie that she wants to go to boarding school by her will. He doesn’t agree that she can go away from him. He asks her why did she wish to go far. He tells her that he has sung the song just to make her admit that she doesn’t want to go away from him. Nimrat tries hard to reveal the truth to Sikandar. She wants Sikandar to know the truth. Sikandar wants to know Kulfi’s pain, the reason for her decision to get away. Lovely breaks out of the cupboard. She sees the truth written on the glass door. She rushes to stop Sikandar from seeing the truth. Lovely reminds Sikandar about Amyra. She asks him to go and attend Amyra. She blasts anger on him once again. Kulfi gets heartbroken and goes away. Lovely asks Sikandar to go to Amyra right away. She succeeds to stop him from reading the truth. She turns angry and declares to Nimrat that she will never let the truth come out. She challenges Nimrat to do anything she can. She promises that she will end Kulfi’s story. She insults Nimrat for dying alone and leaving Kulfi to struggle in the world. She admits that she has done a lot to secure Amyra’s future. She tells Nimrat that Sikandar’s family is aware of the truth. She admits that none in the family will be helping Kulfi. She asks Nimrat what will she do to help Kulfi. 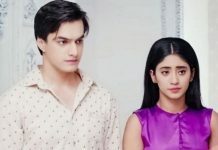 She challenges to throw Kulfi out within two days. Nimrat doesn’t let Lovely hurt Kulfi. She feels miserable. She wants to bring Sikandar face to face with the big truth.